originally published in The Velvet Underground fanzine volume 5, edited by Sal Mercuri. Ed. Note: When Peel Slowly and See was released, we took much of what was revealed as gospel. After a few months of analyzing and digesting we weren't so sure. There were a few glaring gaffes in the booklet which we attributed to hasty proofreading e.g. Nico's birthplace is given as Budapest instead of Cologne, The VU's first gig was not November 11, 1965, it was December 11. The Max's run was 10 not 2 weeks, etc. When it came to song credits and the revelation of John Cale's post 1968 involvement we believed what the box told us, but could we really? In the booklet Cale's recollections are hazy and his comments regarding his work on the Loaded sessions vague. It dawned on us that we had perhaps the greatest source for verifying these matters within our reach only a phone call away. 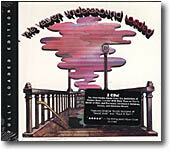 Doug Yule was more closely connected with Loaded than any other Velvet. Surely he could set the record straight. Damn right he could and does. 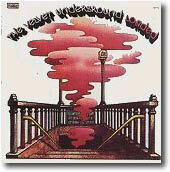 When I joined the Velvet Underground in 1968, I never questioned what had been before. I never knew John and never knew what relationships might have been developed that brought him and Lou to their final confrontation. For me at that time life was simple. I didn't dig too deeply into anything. As soon as I joined, we toured. We were usually together, traveling as a group. When Sesnick announced that we would do an album while we were in L.A., there was very little warning and not much planning. We had already been performing the material live and it was mostly a question of translating it onto tape. Tracks were recorded live, that is with everyone playing on each track. Production was by consensus and all four members were present. Looking back at the process, and making a few intelligent guesses about what might have been developing between Lou and John, it seems very probable that the softness of the third alum was largely due to the absence of conflict for Lou. I remember those sessions as almost gentle in their tone. Very little stress, lots of fun, everybody happy and positive. The sound of the third album is due largely to what was going on within the group at the time and not to any mechanical influences. I only heard the story about the effects boxes being stolen within the last five or ten years. When we were playing dates in 1968, no one was using boxes except the occasional fuzz tone for Lou. (In the live version of What Goes On that leads off the fourth disc of the box, you can hear him stomp on the fuzz box at the beginning of the solo and then try to adjust the knobs with his feet while playing.) But if the story were true and the effects boxes had been stolen and they were so important, why wouldn't some replacements have been found? Certainly in L.A. there would have been some kind of substitutions. By the time Loaded rolled around, things were changing. I was feeling more secure and pushing a little harder for the things I wanted. Sesnick, always looking for the advantage, was driving wedges between everyone, trying to keep the bickering going and the communication between us shut off. Sesnick arranged the contract with Atlantic when MGM wasn't interested anymore at the same time Maureen was pregnant. Rather than wait until she could play on the sessions, he pushed the group into the studio without her, either to meet a contractual deadline or to collect some money. The result of this was to split up the group. Loaded sounds vastly different than the third album because it isn't the whole group playing together. Once Maureen was out, Sterling was marginalized and the whole thing turned into the Lou/Steve/Doug album. Looking back now it seems obvious that when faced with the prospect of recording Loaded without Mo, we should have simply said no. Waiting for her would have produced a more coherent, unified album and might have kept the group together longer. The third album is the most straightforward in terms of who plays what. Sterling and Lou played guitar, Mo drums and I bass. Occasionally, I would play organ. It wasn't until the MGM demo sessions that I started branching out to the guitar and piano. Sterl and Lou had no set roles. Lou always played basic rhythm when he was singing and Sterl alternated between rhythm and parts. When it was solo time, they divided the songs up by some method know only to themselves. Sterling always wound up with the more organized breaks while Lou favored the longer, louder, raunchier ones. He had a brilliant sense of melody but an imperfect instrument. Sterling seemed to be just the opposite, more a process of technique that lacked a soaring vision and relied on the acquired skill of filling in the final pieces of a puzzle without overdoing it. I have a vision of Lou's mind as filled with beautiful, transcendent melodies that are trapped inside and every time he tries to push one of them out through his fingers or his throat it gets distorted by the imperfection of the vehicle. When it does finally arrive in the world, it is cloaked in the struggle which gave it birth and its beauty only partly visible to the casual observer. Lou's best work takes some effort to get to. The sessions for Loaded were extremely different than those which produced the third album. Many of the songs had been played live, but the recorded versions were very different than the road versions. The emphasis was on air time. Every song was looked at with the understanding that there was a need to produce some kind of mainstream hit. On the third album we had just played what we wanted but now we brainstormed. New things were tried for the first time on the studio floor and they were usually taped. Songs were built intellectually rather than by the processes that live performances brought to bear, instinct and trial and error. Everything with Billy on it was recorded in a second set of sessions that we did after working most of the summer at Max's Kansas City. Those songs, Sweet Nuthin', Cowboy Bill, and Ocean, had developed over the summer and we wanted to include the changes on the album. Drums on this are either me or Adrian Barber, or a combination of overdubs including Billy. Whoever it is, it was overdubbed because the original track was just Lou and the tremolo guitar. Billy tells me that we tried to play this one live using the tremolo but couldn't successfully sync with the tremolo and finally gave it up. Strings (bass and two cellos) arranged and conducted by DY. This is the disputed John Cale track. I recognize the strings, even though they are very soft. I'm amazed that anyone would confuse a cello with a viola, especially John, but who can say. the arrangement was designed to give an open, watery effect to the track and I think it does. Billy gave me a cassette dub of this track in which the timpani track that I put on is still audible. Apparently it was dropped from the mix. What I thought to be viola and possibly the place that Cale did play, turned out (when headphones were used) to be fuzz guitar and it bears Lou's characteristic style. this must've been something that Lou recorded either alone at the studio or on his own. I don't remember it at all. The live version of What Goes On that starts the fourth disc on the box, was probably the first time I played with the group. I always played organ on that tune, but we may not have had along for that trip. Also on the fourth disc, the song One of These Days had a bottleneck guitar part placed by, you guessed it, yours truly. I hope this clears up a lot of questions. i've learned a lot in the process of doing it. PSS = same as Peel Slowly and See box set. * = never before issued, heard, bootleg or anything. Moe on vocals. Different version than VU. Goofy harmony intro; same lead vocal track; rhythm guitar is further up in mix; second lead starts later; rougher throughout; different final lead. guitar intro; same lead vocal; different mix; shorter guitar drum break; different fade out vocal. Drum intro; simpler mix; same lead vocal; backing vocal missing lower harmony in first half; no percussion overdubs; no fade out. No intro; slower; different vocals; different lyrics; tentative drumming; intrusive cowbell; includes 'wine and roses' section; sounds like rehearsal or rough demo. Closer to Another View version though more fleshed out; sounds like demo; sounds like Lou is experimenting with wah-wah pedal. Ending is great. Drum intro; different vocal; different lyrics; sounds like one guitar/drums/piano; no backing vocals; Lou 'scats' final verse; great drum/piano finish; demo. High hat/guitar intro; different lead vocal (less screaming); no backing vocals; one guitar/bass/drums; demo. Acoustic guitar intro; different lead vocal; different mix; sounds like finished but unused production. Country/Dylan version from The First Night bootleg. Different tremolo guitar; different lead vocal on second half; different mix; different guitar leads; different drum track. Tremolo guitar; Lou on lead vocal; different lyrics; closer to Praise Ye The Lord version. Different version than PSS and VU. Different version than PSS. Lou playing with tremolo again. Has a tough time and messes up on vocals. Studio chatter/intro;different version than PSS. Take 1; same as PSS. False start. Different mix than PSS. Studio chatter; same take as PSS; different mix. Far superior to the Lou Reed debut LP version.